DC characters who are returning Supergirl’s voice mails (future Supergirl dialogue: Kara: “Hey, Jimmy Olsen: Did Superman call?”) include Red Tornado, Non, and General. And maybe, just maybe, the stars of The CW’s superhero shows: During her session with the TCA, CBS Entertainment chair Nina Tassler said there are no current plans for a Supergirl-Arrow-The Flash crossover, but there will be crossover promotions between the shows. (CBS is a co-owner of The CW, which broadcasts Arrow and The Flash.) 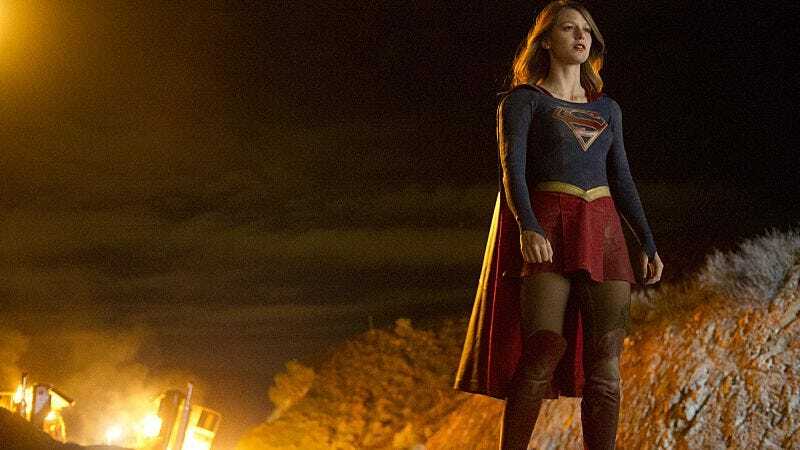 The Supergirl producers say they’re open to bringing the heroes together eventually, but they also have to launch a different DC project out of the CW shows this year, so it’s understandable that bringing Supergirl to Central or Starling City isn’t a top priority.